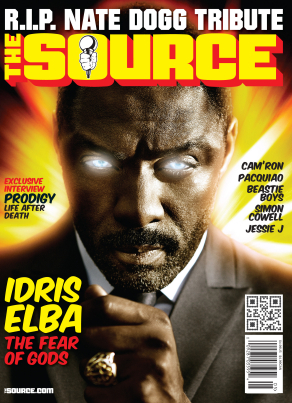 BLVDAVE: Cover Watch: Idris Elba covers the next issue of The Source ! Cover Watch: Idris Elba covers the next issue of The Source ! Not exactly sure what Idris' role is in Thor just yet, we do know, as the rest of you, that its as one of the Gods of Asgard !